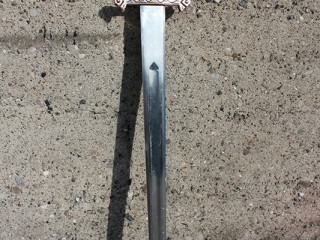 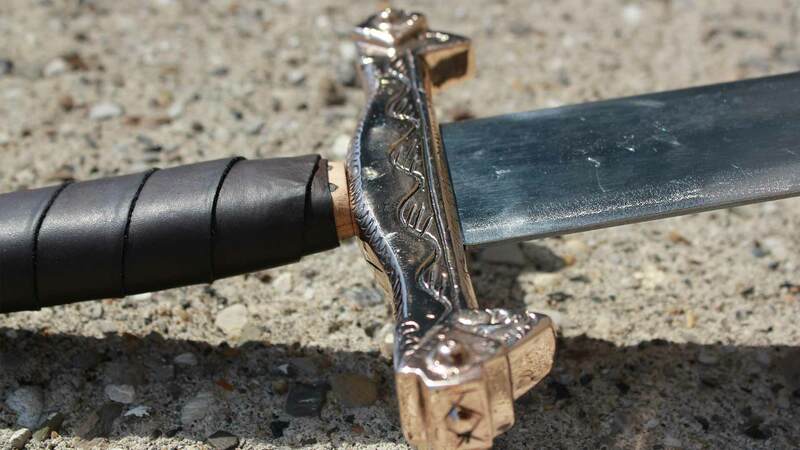 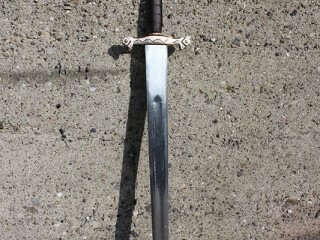 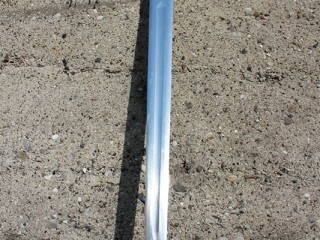 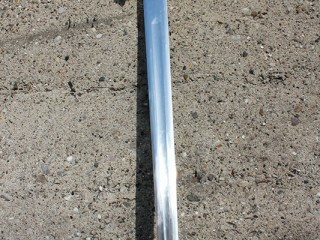 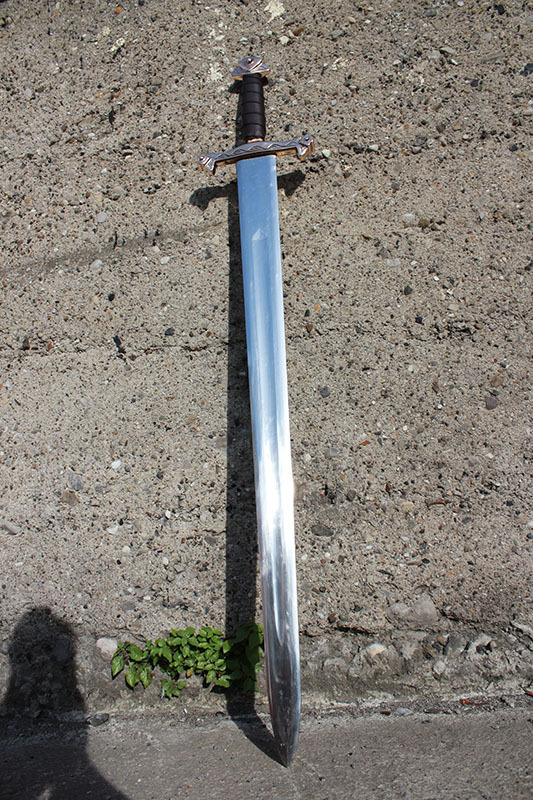 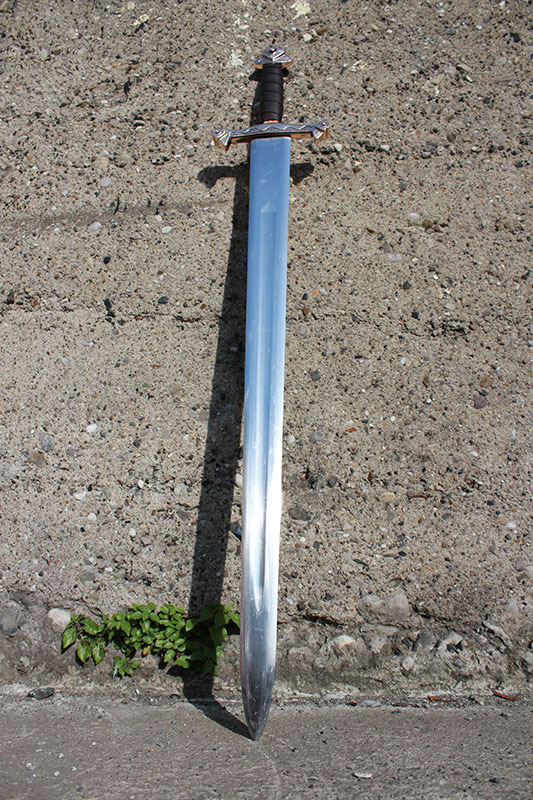 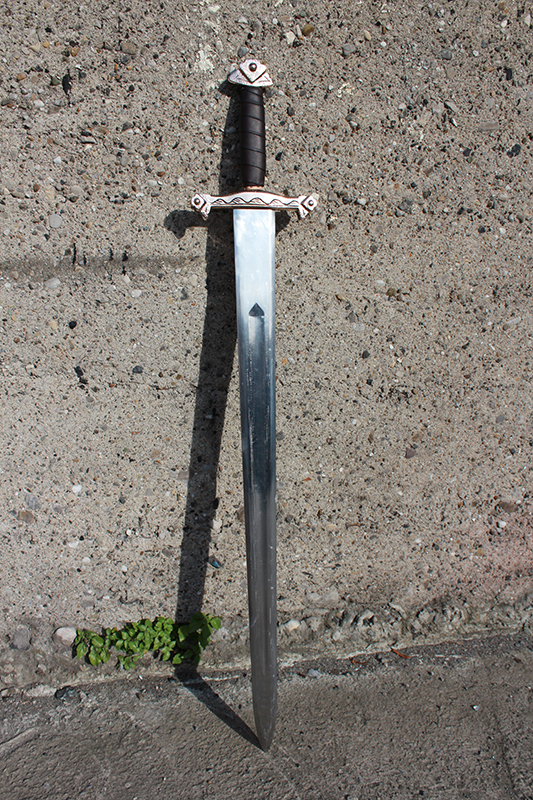 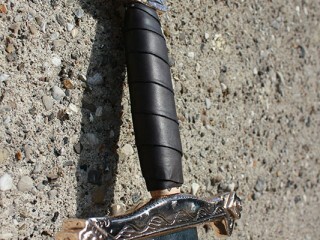 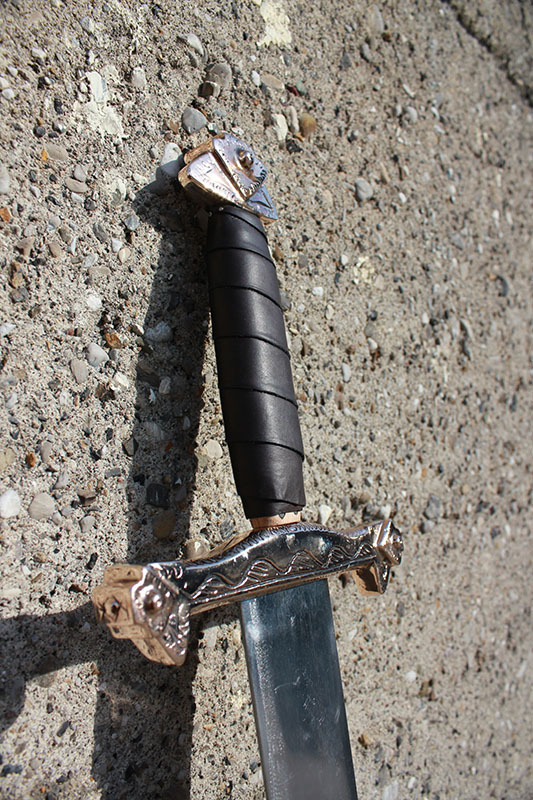 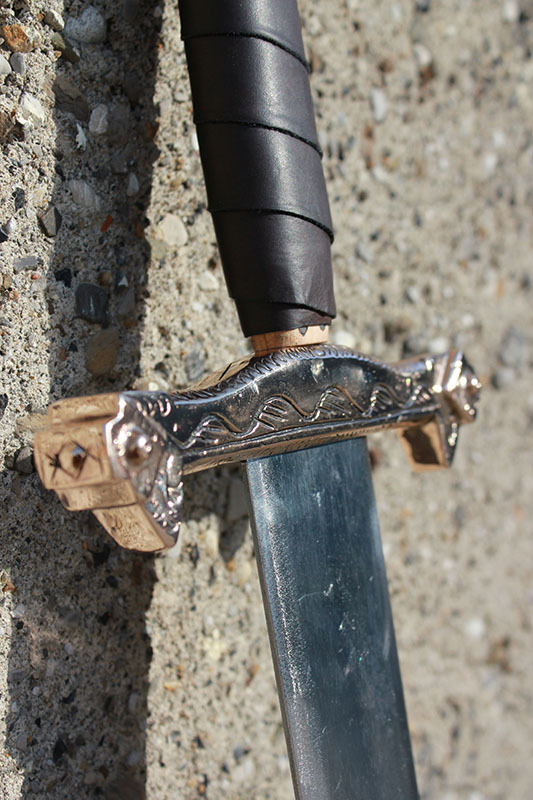 We made a very nice Hero sword in conjunction with Armourer John McKenna on the Camelot series also. 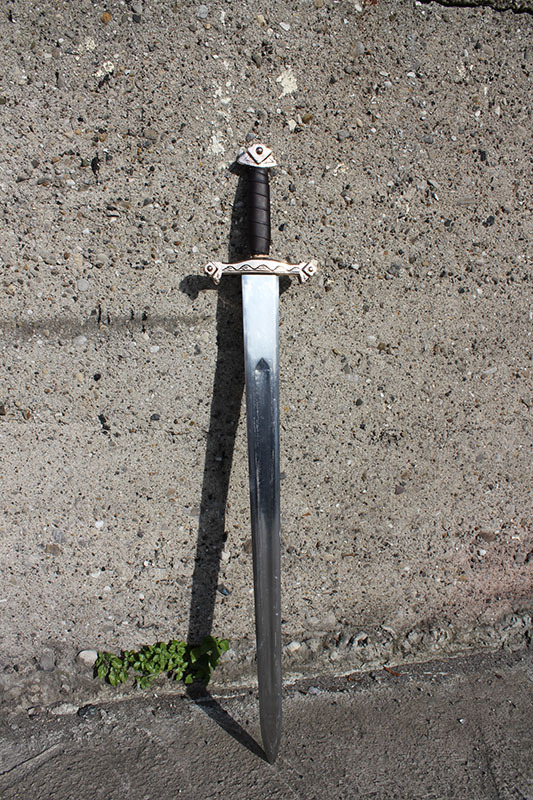 it was a series that was made in Ireland and we again were lucky to have been asked to work with the talented team led by John McKenna at the Armoury Department at Ashford Studios in Wicklow on Camalot. 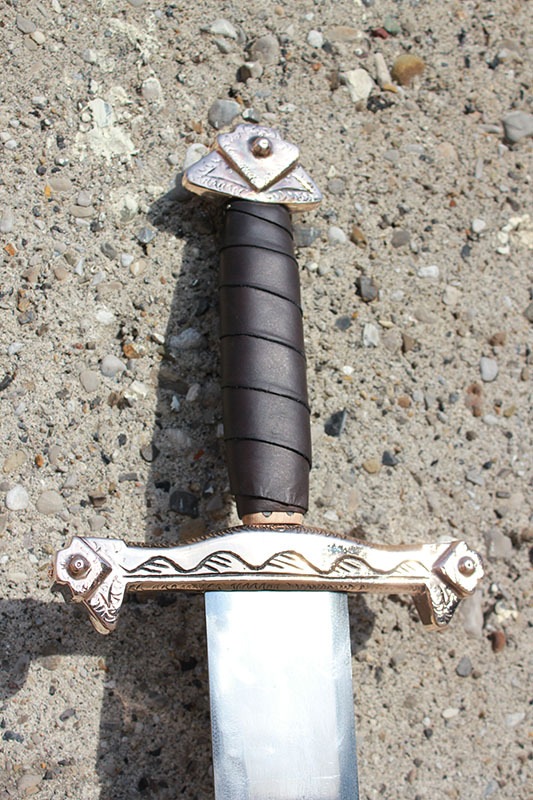 John in this instance provided us with a finished prop ready for moulding and then casting into bronze.These hero props are usually sent back to the armoury department where jewels are set and final weathering is done. 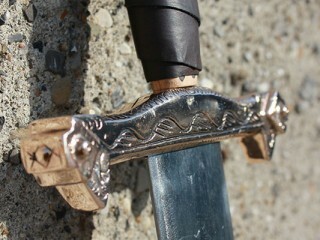 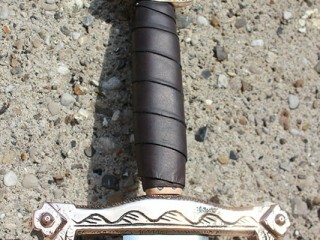 On this piece we fitted the blade to the bronze cross guard and pommel.